Series production of the DP-64 « Nepryadva » grenade launcher for protection against attacks of underwater combat swimmers. MQ-8B Fire Scout unmanned aircraft system aboard the littoral combat ship USS Forth Worth (LCS 3). 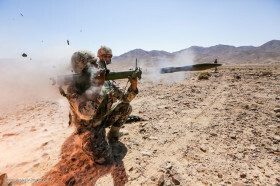 Successful firing of the MMP combat support missile. A Royal Thai Marine kisses a cobra during survival exercise. The new marksman rifles SCAR-H PR from FN Herstal arrived to Lithuania. 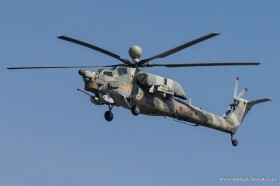 Live fire training of the Tiger ARH, Armed Reconnaissance Helicopter. The Kopaonik Special Brigade conducting a combat training in winter conditions.